Golden Milk | Anti-Inflammatory Golden Milk Recipe | Andrew Weil, M.D. On the Japanese island of Okinawa, turmeric tea is a way of life. The population drinks this traditional favorite daily, and numerous studies have linked turmeric with wide-ranging anti-inflammatory effects. Perhaps this helps to explain why the people of Okinawa have one of the world’s longest average life spans: 81.2 years. 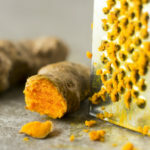 While turmeric tea is among Dr. Weil’s favorite beverages (particularly the refreshing iced version), he offers this recipe for Golden Milk Tea as another great way to get the many benefits of turmeric on a daily basis, along with the antioxidant power of ginger and black pepper. 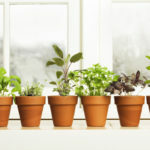 Used to impart color and flavor to everything from traditional Indian curries to ballpark mustard, this deep-orange herb’s many health benefits are well documented. 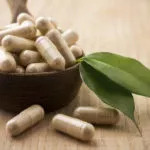 In a comprehensive summary of 700 studies published by ethnobotanist James A. Duke, PhD., in the October, 2007 issue of Alternative & Complementary Therapies, Duke found extensive evidence that turmeric can reduce inflammation and support brain and joint health. 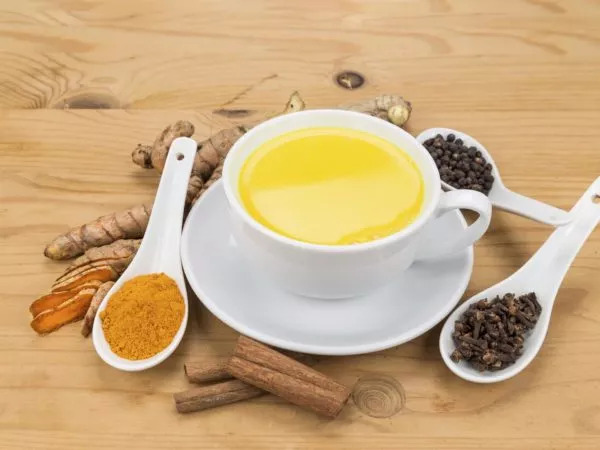 Drinkers of Golden Milk can also reap the benefits of ginger, a natural anti-inflammatory that can help relieve symptoms of arthritis, bursitis and other musculoskeletal ailments. 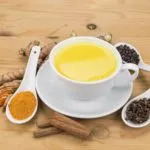 Additionally, Golden Milk is flavored by black pepper, whose sharp taste comes from the alkaloid piperine, which enhances the absorption and the anti-inflammatory effects of turmeric. 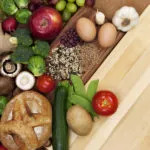 Plus, black pepper contains a number of essential nutrients, including manganese, iron and vitamin K, and is commonly used to calm digestive issues. Bring to a simmer and simmer covered for 10 minutes. Strain and sweeten to taste (if desired). Here’s a video demonstration of How To Make Anti-Inflammatory Golden Milk. 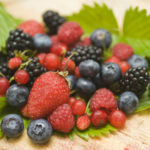 Simple and delicious – enjoy! Learn how to make another of Dr. Weil’s favorite beverages: Immune-Supporting Astragalus Tea. 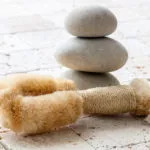 Dry Brushing: Can It Really Minimize Cellulite?